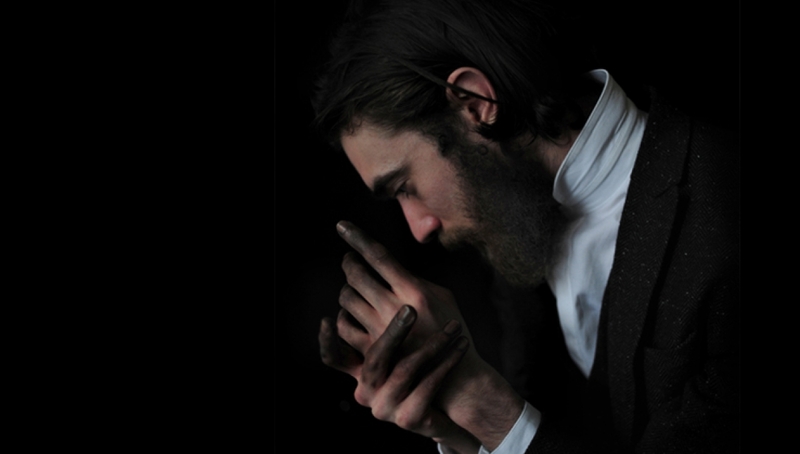 London, poet, singer and illustrator Keaton Henson has carved out a formidable reputation for his emotional, heart-wrenching songs and spellbinding performances. He makes little secret of his fear of the spotlight making this In the Round performance a significant rare treat. Still in his twenties, Henson’s rich, resonant voice has been compared to the likes of Jeff Buckley and Bon Iver. At school his heroes were artists and illustrators such as Edward Gorey, while today, they are songwriters such as Randy Newman and Loudon Wainwright. For this very special show, Henson performs music from his three recordings. Released in 2010, ‘Dear…’ is an extraordinary collection of simple, tender songs, stripped to the marrow. Singing with rare autobiographical candor, the devastatingly melancholic songs are, he told The Times “about isolation and are literally my diary, printed up and handed out”. Its follow-up, ‘Birthdays’, addresses the challenges of newfound and newly-lost love. Released in 2014, Henson’s third album, ‘Romantic Works’ is an entirely instrumental album inspired by the simplicity of Avro Pärt, Phillip Glass and Henryk Gorecki. Dubbed ‘bedroom classical’ it was built on sorrowful piano motifs that tell a collection of stories that Henson could not translate into words and was recorded in his small London bedroom, as he assembled layers to the pieces using found objects and charity shop instruments. Please note latecomers will be admitted at a suitable moment in the performance.